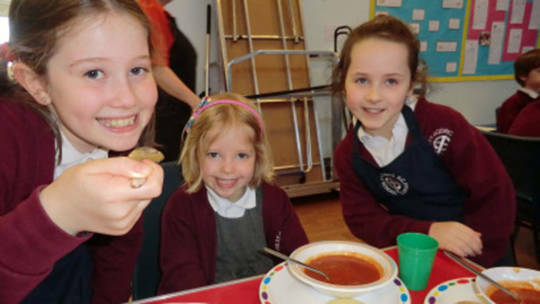 Children at St Godric's, Durham, getting involved with Fast Day fundraising with a special Lenten soup lunch for CAFOD. South and East Durham, and the Tyneside), including how to get in touch with your local volunteer centre and local contact David Cross. Family Fast Day – What will you do?